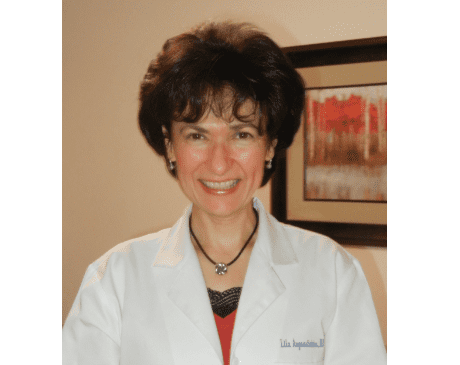 Lila Augoustiniatos, MD, FACP, CAc, is a fully licensed physician who provides a wide range internal medicine and integrative medicine services to the men and women of Long Island, New York. As the medical director at Evia Medical Center in Smithtown, New York, Dr. Augoustiniatos leads a talented team of medical professionals, with a special focus on acupuncture and functional medicine. Her passion for medicine began early on, leading to a sterling medical education that began with receiving a bachelor’s degree from New York University. Dr. Augoustiniatos then went on to earn her doctor of medicine degree at the University of Medicine and Dentistry of New Jersey in Newark, New Jersey. Next, she completed both her internship and residency at Stony Brook University Hospital in Stony Brook, New York. Dr. Augoustiniatos is one of the original physicians who spearheaded the success of the Long Island State Veterans Home, a university-based long-term care facility at Stony Brook University Hospital. As an assistant professor of clinical medicine at Stony Brook, she continues to teach medical students, residents, and nurse practitioners in her outpatient clinical practice. Dr. Augoustiniatos has been practicing since 1991 and holds the title of Fellow of the American College of Physicians (FACP). In addition, Dr. Augoustiniatos has had her New York State certification in acupuncture since 2004 and has been board-certified in anti-aging and regenerative medicine through the American Academy of Anti-Aging Medicine since 2007. Dr. Augoustiniatos is a recipient of multiple Patients’ Choice awards and Compassionate Doctor Recognition awards. As medical director of Evia Medical Center, Dr. Augoustiniatos has brought together a team of like-minded medical professionals to assist patients in their healing process. Her passion is to identify the root causes of her patients’ diseases and empower them by providing the tools that will allow them to regain and maintain their health. Dr. Augoustiniatos has successfully combined internal medicine, acupuncture, age-management medicine, nutritional guidance, and pharmaceutical-grade supplements in order to optimize the health and quality of life of her patients.